Female Pattern Thinning is not hair fall or Hair Loss. Female Pattern Thinning effects only specific patterns at the front, top, recessions and sides of the head. Female Pattern Thinning is caused by Dihydrotestosterone (DHT) which is naturally responsible for body hair and is part of our important integumentary system. DHT gets triggered by hereditary, hormonal and environmental causes and starts to bind to hair bulbs only in the pattern thinning areas. This gradual bind and build up slowly squeezes the blood supply form the hair resulting in thinning hair and is not actual hair loss. Most Hair Loss Treatments focus on Female Pattern Thinning only when the problem is hair loss and the hair cycle. Womens Hair Loss Treatments without correct diagnosis may focus on the wrong symptom and cause delivering limited results costing time, money, unnecessary suffering and precious hair re-growth. Microscopic diagnosis for Women Hair Loss Treatments is essential along with understanding the significant difference between the hair cycle and Pattern Thinning. 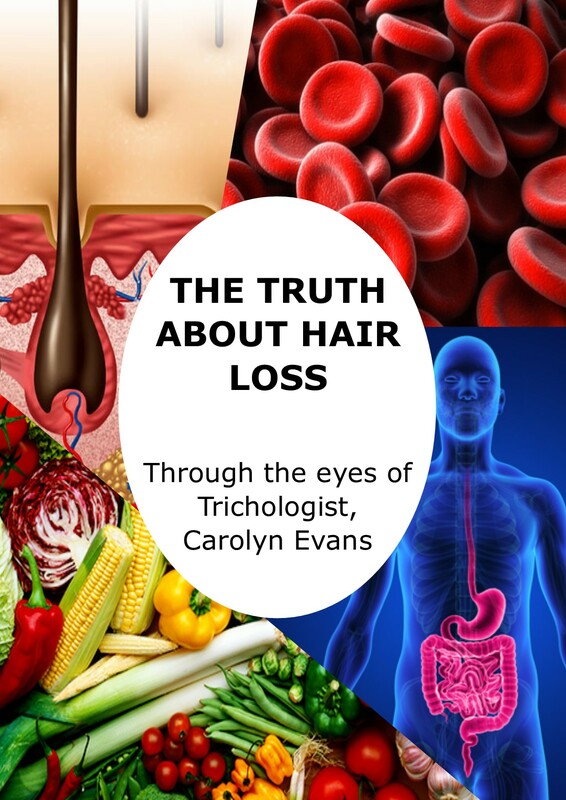 Trichologist Carolyn Evans-Frost at Absolique Hair Health Clinic demonstrates the presence or absence of the different signs, symptoms and locations on the scalp representing the hair cycle and Female Pattern Thinning which is the same as Male Pattern Thinning. Once there is an accurate diagnosis you can select from the various Hair Loss Treatments and Hair Thinning Treatments available with knowledge that it is possible to re-grow hair once you understand the reasons for it. Absolique Hair Health Clinic use and recommend Natural Hair Loss Treatments. To book your microscopic diagnosis ‘Hair Health Check’ contact reception on 07 3229 3242. Hair Health Check takes up to 75 minutes and it is best if you don’t wash your hair for 2 days prior to your Hair Health Check appointment. 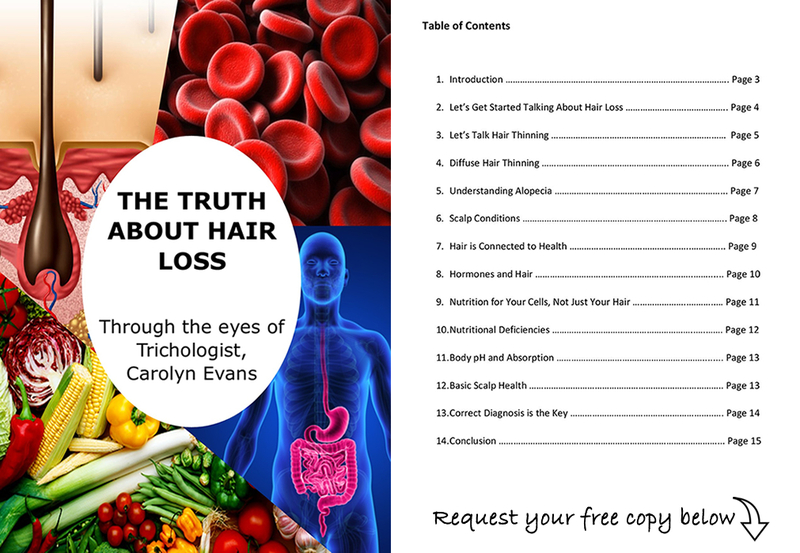 Cost is $200 and is the best value service for you to understand the truth about hair loss, hair thinning and Hair Loss Treatments that work. Women Hair Loss Treatments Diagnosis is Key.